Arthur Homeshaw was a Westcountry artist whose work tapped into the deep-rooted influences that represent the best in English art. 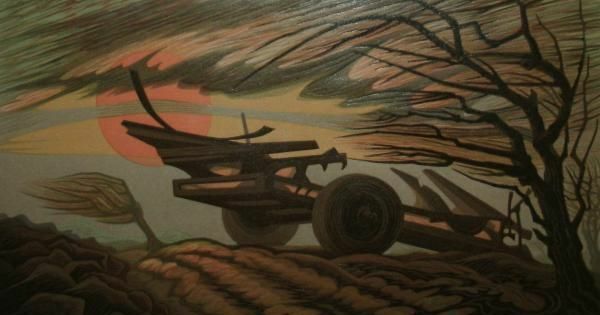 These perspectives are discernible in both his linocuts and his pastels. 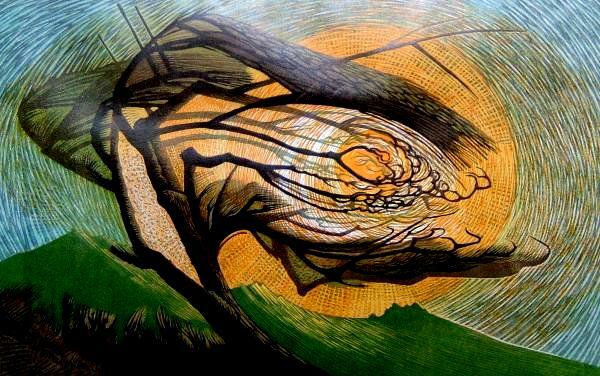 Furthermore, his work displays an imagination that is both exuberant yet introverted and at times secretive. This paradoxical quality infuses all his work. He developed a stylized manner of rendering reality which explored the land and the sea as many of the best English artists have done. This style is delivered with a constant delight that is barely concealed in his work. 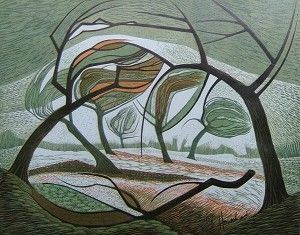 It consists of the striking use of bold tonal contrasts and complex patterning There are also bubbling textures redolent of Samuel Palmer’s work(1805-1881).Arthur Homeshaw’s work can be placed in the English romantic tradition of Paul Nash (1889-1946) and his work also reveals the influence of the wood engravings of Eric Ravilious(1903 -1942). The power of his images were the product of a reputation that had been established over fifty years of artistic endeavour. He was a member of the Royal West of England Academy since 1964.In his last exhibition there in 2010, he was a Senior Member of the Academy. 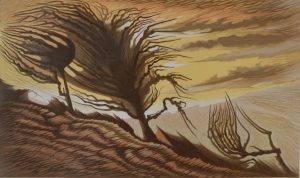 His work has also been purchased by the Victoria and Albert Museum (The Giles Bequest Linocut Competition).In addition, his linocuts have been selected for the Summer Exhibition of the Royal Academy in 1964,1984, and 1985.His work has also been purchased by BP, Devon County Council, and Exeter University. Between 2006 and 2010 his work has been exhibited and sold at the Affordable Art fair in London. He is an artist whose vision of the Westcountry landscapes and seascapes underlined his deep attachment to the area. 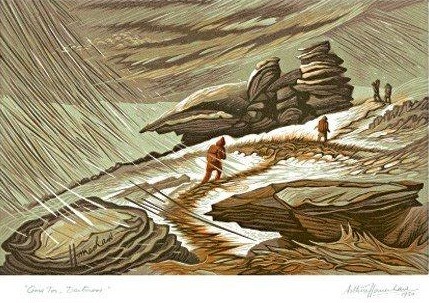 Arthur Homeshaw’s work whether it is in the medium of linocuts or pastels represents a rare and unique talent. His work is now highly collectable.